The following testimony was presented to the House Armed Services Committee during its “Space Warfighting Readiness: Policies, Authorities, and Capabilities” hearing on March 14, 2018. Watch the whole hearing here. Chairman Thornbury, Ranking Member Smith, and Members of the Committee, I want to begin by thanking you for the opportunity to testify today on the important and timely topic of space security. Space security and understanding the dynamics of escalation and deterrence in space is an important part of our research program at CSIS. I want to thank my CSIS colleagues who have contributed to these efforts, especially Zack Cooper, Kaitlyn Johnson, and Thomas Roberts. While the thoughts and ideas I am sharing today draw from the work our team has done in this area, I am testifying in my personal capacity and the opinions I express are not intended to represent those of my colleagues or CSIS. Much has changed in the space domain over the past thirty years, but it is important to remember that not everything is new. Space was a contested domain from the beginning. The first test of an anti-satellite weapon occurred in 1959, just two years after Sputnik. Throughout the Cold War, both the United States and the Soviet Union developed and tested a variety of anti-satellite weapons. Thankfully, none of these were used in anger, but the threat was ever-present. What has changed is our confidence in the ability to deter attacks against our space systems. What has changed is our confidence in the ability to deter attacks against our space systems. Deterrence in space is not as clear today as it was during the Cold War. As Mr. Loverro and others have written eloquently about before, throughout much of the Cold War national security space systems were protected by the cloak of nuclear deterrence because these systems were primarily used to support nuclear forces. But today our national security space systems are used across the full spectrum of conflict, from peacetime presence activities to counter-terrorism operations to high-end combat against a near-peer adversary. Space systems give the U.S. military global reach, power, and influence. Our dependence on space across the full spectrum of conflict creates a vulnerability because our space systems are not adequately protected across the full spectrum of threats. Conflict that begins or extends into space, particularly if it becomes kinetic, will not end well for anyone. Our primary focus should therefore be on deterring conflict in space, and I believe there are three main areas where we can do more to improve our deterrence posture and the readiness of our space forces. First, we need a clearer understanding and articulation of the thresholds for escalation in space. Based on my experience participating in and conducting space crisis simulations and war games, the escalation thresholds for conflict in space are often ambiguous, particularly at the lower end of the spectrum of conflict. As in other domains, thresholds depend on the broader context of a conflict, and each side can have differing views of their own thresholds and their perception of the other side’s thresholds. What is different about the space domain is that we do not have much history to draw upon or widely accepted norms of conduct. The United States should continue to lead in this area by working closely with international and commercial partners to establish sensible norms of conduct and to abide by them. Another complicating factor is that adversaries can use forms of attack against our space systems that are difficult to detect, attribute, and deter. Some types of attack, such as jamming, are temporary in nature, while other methods of attack, such as using a laser to blind a satellite’s sensors, are not visible to others. And many methods of non-kinetic attack against space systems, including cyber attacks against ground stations, can be difficult to attribute in a timely manner. It is nearly impossible to deter an attack if you cannot attribute the source of the attack or know with confidence that the effects being experienced are in fact malicious in nature. We therefore need to improve our ability to detect and attribute these types of threats because this is where thresholds are most uncertain. This ambiguity and lack of common understanding about thresholds can lead to escalation by miscalculation. Miscalculation can occur when an adversary believes that its actions are below the threshold that will trigger a strong military response from the United States when in fact we may view those actions as crossing a major threshold. Ambiguous escalation thresholds can also invite grey zone aggression in space. We already see this occurring in other domains today, where adversaries are probing at the seams and finding ways to create problems for us or advance their own ambitions without triggering direct, overt conflict. A second area where we should be focusing more effort is the development of advanced and innovative space capabilities. We are in the midst of a renaissance in commercial space, with many firms making advances to do things that used to be the exclusive domain of governments. The surface of the Earth and the space environment itself are becoming more transparent— whether we like it or not. Overall, I believe this is a positive development for U.S. national security because the United States is at the center of this commercial space revolution. The challenge for the military is to stay attuned to advances in commercial space so that it can leverage the technology, systems, and services created by these companies when possible. It is difficult to be attuned to advances in space technology if acquisition officers are rotating into space programs with little if any prior space experience. One potential remedy is for the Air Force to create a dedicated cadre of space acquisition professionals, both civilians and uniformed military, that are managed separately from the rest of the Air Force acquisition workforce. This would allow for more specific training, a deeper level of technical knowledge, and more relevant career experiences. The speed of innovation is also a prime concern. DoD and this committee are rightly focusing efforts on how to improve the speed of defense acquisitions overall and space acquisitions in particular. But it is not just the speed of the acquisition process that is the problem—the slow pace of the budgeting process is also a major issue. The planning, programming, budgeting, and execution system used by DoD to develop its budget request and the authorization and appropriations process used by Congress to provide funding and oversight are too slow. Even when these processes work as intended and we are not under a continuing resolution for half the fiscal year, it takes about two years from having an innovative idea to having money available to put on a contract. In that amount of time, the commercial space industry will have already progressed to a new generation of technology. Moreover, the window of opportunity for some things, like hosting a military payload on a commercial satellite, may only last a few months. Innovation is not just about having great ideas and new technologies; it is also about being prepared to take advantage of opportunities when they materialize. A potential solution I would encourage you to consider is creating something akin to a working capital fund for space innovation. This approach would not be appropriate for major defense acquisition programs, but it could be valuable for smaller prototyping and rapid response programs. The idea is to create a pot of funding with greater flexibility and authorities and to pre- fund the account so that money is available before needs arise. Congress could do this by appropriating a relatively steady rate of funding in each year’s budget to replenish the working capital fund and by transferring unobligated funding from other accounts. DoD would be allowed to spend the funding within the constraints defined by Congress, including reporting requirements throughout the year as funding is obligated. A third and final area I believe needs more attention is the problem of communicating thresholds and capabilities. Communication is a critical part of deterrence and our ability to manage escalation in a crisis. We must be mindful that space is becoming more transparent by the day, and some of the capabilities and operations that we were able to keep secret in the past may not be secret any longer. Secrecy invites suspicion among our allies and partners and does little to deter our adversaries. Secrecy invites suspicion among our allies and partners and does little to deter our adversaries. While certain aspects of our national security space systems must remain secret to be effective, too often the U.S. military and intelligence community default to over-classification. I believe that this is a systemic and cultural problem that must be addressed immediately. It was an encouraging first step when DoD declassified the existence of the Geosynchronous Space Situational Awareness Program (GSSAP) in 2014. I believe that this disclosure enhances our security and helps deter aggression in space because the world is now on notice that we are watching what others are doing in geosynchronous orbit. I would like to see us go a step further to name and shame bad actors in space—those who conduct irresponsible, aggressive, or hostile activities—and back it up with hard data. The over-classification of information also inhibits our ability to work with international partners and commercial firms, both of which can play an important role in improving the resilience of our space systems. Classification issues can make it difficult to even discuss escalation thresholds with other nations, even some of our closest treaty allies. Lowering classification levels, where appropriate, would ease the integration of more allies and partners into our space operations. Similarly, over-classification makes it difficult to work with many commercial firms, especially those that are new to working with the government and may not have cleared personnel. Over-classification effectively serves as an overhead tax on all our space activities because it adds more complexity and time to everything we do. Another way to improve the communication of thresholds is to be more explicit with commercial satellite service providers about how attacks on their systems will be treated. The National Security Strategy says that the United States will “consider extending national security protections to our private sector partners as needed.” That is a step in the right direction, but more clarity is needed. The U.S. military is already dependent on commercial operators for satellite communications, imagery, and other capabilities. An adversary may seek to attack these commercial systems as a way of signaling intent or resolve, believing its actions are below the threshold for military conflict. Without clarity on how such attacks would be treated by the United States, commercial space operators may not be willing to accept the risks of doing business with the government in the event of a crisis. One approach I would urge the committee to consider is an indemnification program for commercial satellite operators that would cover losses incurred due to an act of war in exchange for a commitment by these firms to prioritize U.S. government customers in a crisis. In conclusion, much remains to be done to improve the readiness of our national security space forces for the wide range of threats we face today. I commend the committee for focusing attention on these issues and holding the Department of Defense accountable for making progress. I am hopeful that over the coming months and years the Congress and all the various departments and agencies that play a role in national security space will continue to work together to strengthen our deterrence posture in space. 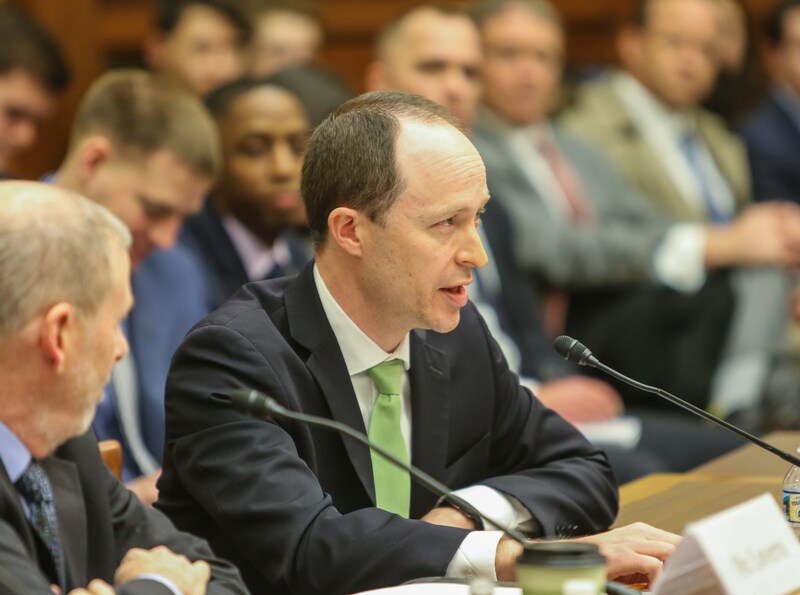 As I have noted in my testimony today, I believe these efforts should focus on three areas: clarifying our escalation thresholds in space, improving our space capabilities and the speed at which we innovate, and improving how we communicate our thresholds and capabilities to others. I look forward to answering your questions.